Can’t decide between modern and classic? 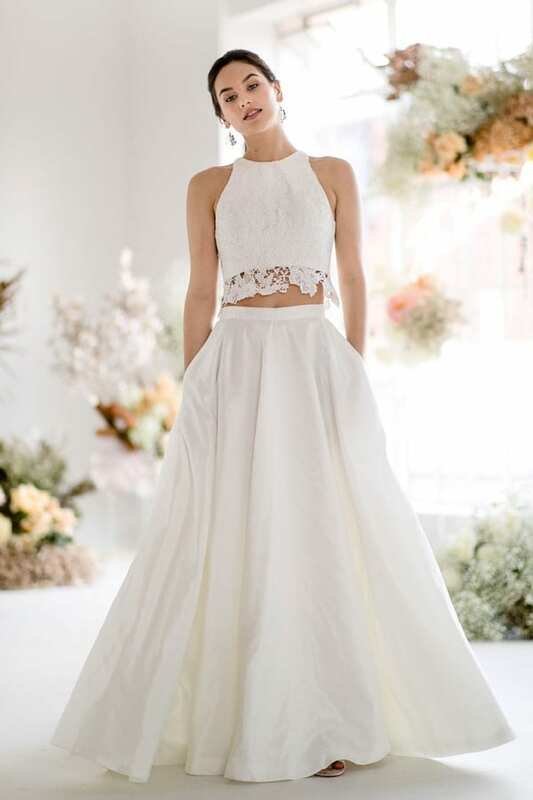 Here’s a gown with a hand-crafted lace bodice and form-fitting skirt that gives you an exciting fusion. 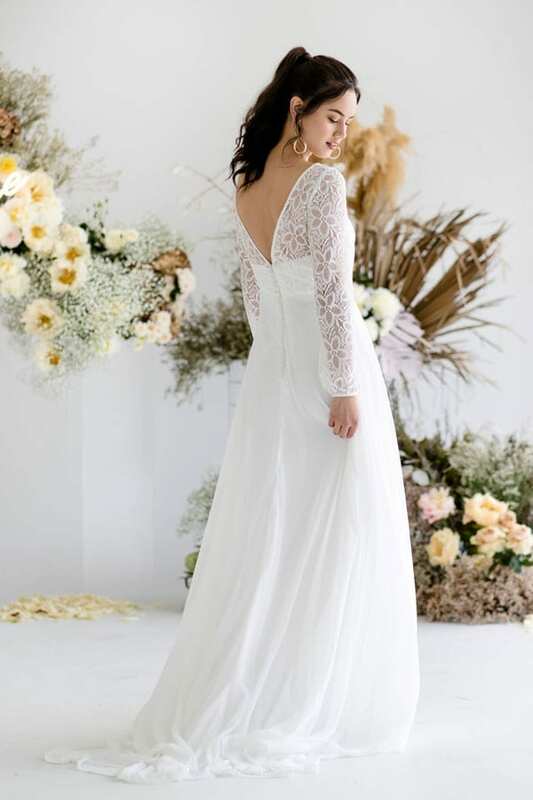 The embroidered lace bodice forms a low V at both neck and back, with fine lace straps running over your shoulders. It’s lightly corseted and form-fitting, emphasising the curves in your hips and bottom. 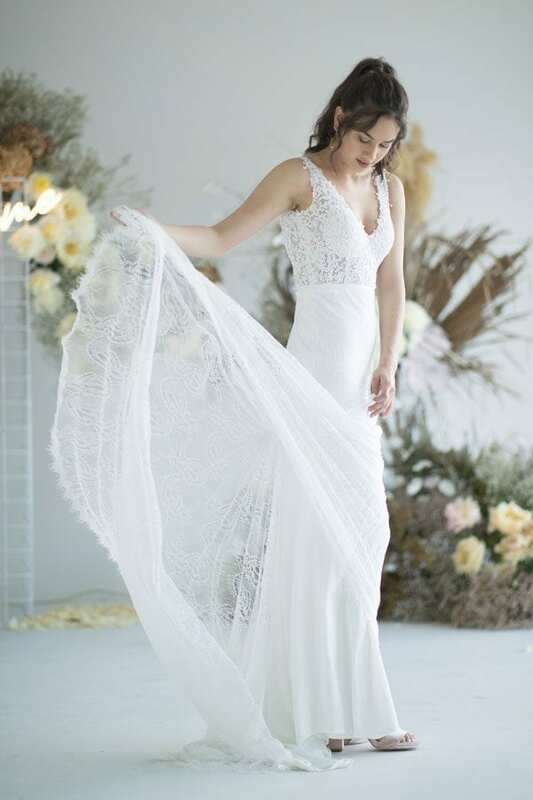 The brocade lace and stretch bridal jersey lining extend into the skirt, with a small fantail sweep train. Persian Indigo will fit like a glove, but not restrict your movements – you can dance freely on your wedding day! This is a classic design with a modern edge. Rock it up, with coloured heels or platforms and edgy hair, or stay classic and elegant with simple, light coloured pumps.